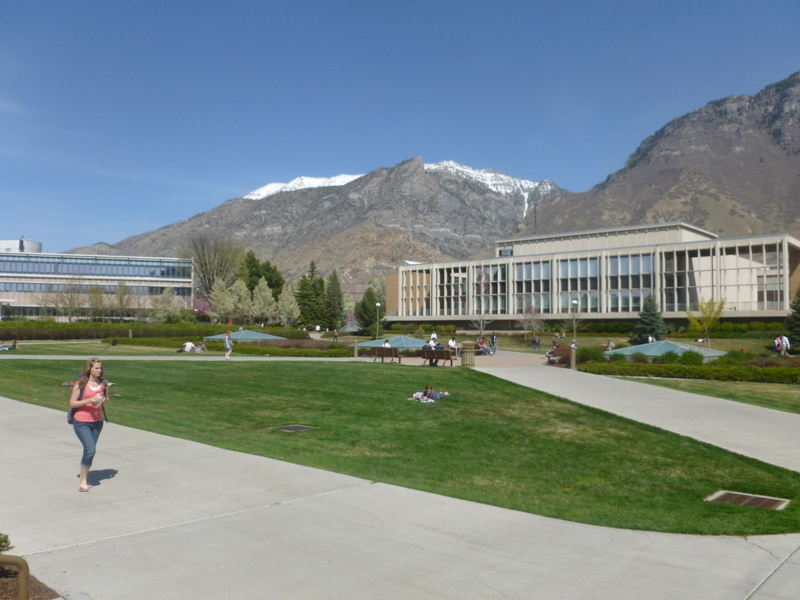 So I’m here in the States to not only attend my opening at Agora Gallery in NYC, courtesy of funding from Creative New Zealand, but I’m also spending two weeks at BYU, Provo in the Fine Arts Faculty. 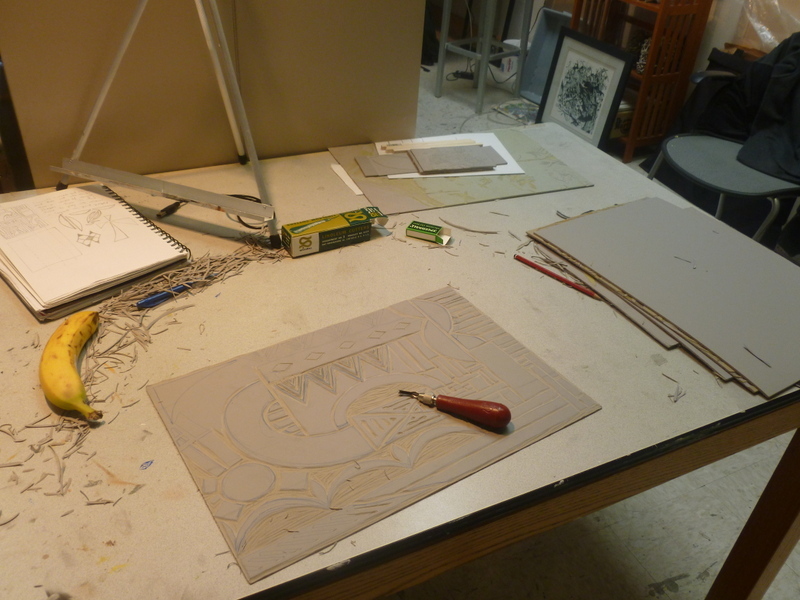 Yesterday was spent carving out my lino cuts in Matt, one of the Graduate student’s studios. It was his work that inspired me to do lino cuts – he is doing some very interesting layering and shapes in his work – I guess that’s why I looked twice. 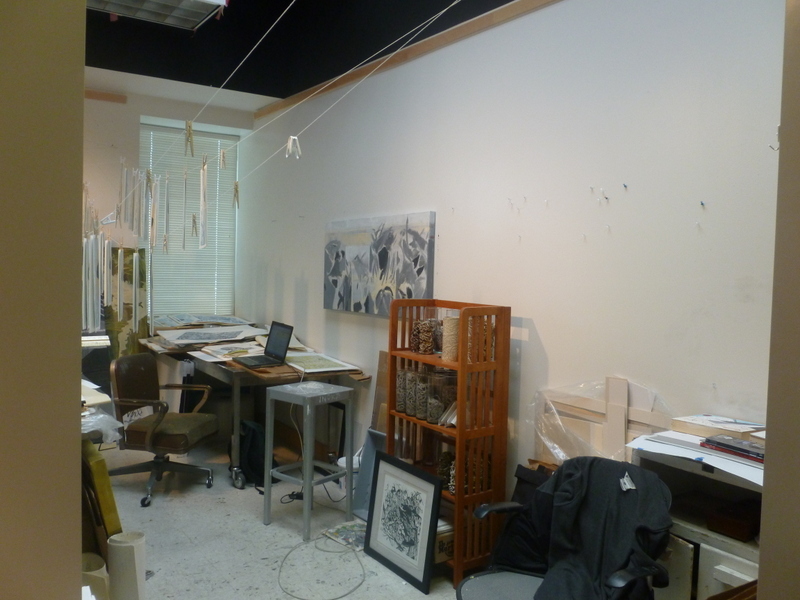 I haven’t really got a fixed image in mind – nor have I the inclination to ‘edition’ my work. Rather I am going to enjoy the freedom of experimenting and having a ‘play’ at the press. This is a great departure from the way I have had to work with the team at Artrite Screenprinting. This is no negative reflection on their behalf – in fact Artrite are like family to me and Glen and Don and the team are really easy to work with. It’s more an indication of the fact that once you leave behind tertiary institutes and all their available equipment it becomes very difficult to access print studios. Hence my desire to merely use this time to experiment and simply enjoy being back in a print environment where I am in control and neither time nor money is an issue. Matt is going to be assisting me and we’ll be working a good solid couple of days to achieve my goal. This entry was posted in Uncategorized and tagged Agora Gallery, Artrite Screenprinting, arts, BYU, Creative New Zealand, NYC, Printmaking, Provo, research, Utah, woodcuts. Bookmark the permalink.